CyberGhost a Romanian based company totes that 3.7 million people have enjoyed their service. Amazing! That is quite an accomplishment. You can signup for an account with just a username and password they have taken anonymous to a whole new level. All traffic goes through a tunnel utilizing military grade level encryption so that means when you are sitting at your favorite public WIFI spot your data is protected. There are three basic packages offered by CyberGhost VPN, the Premium Plus, Premium and Free package. The VPN Free package offers unconditional anonymous surfing at no cost. It has a number of restrictions which include; a top speed limit of 1Mb/s, advertisements after every two hours, no server choice or switches and automatic disconnection at intervals of 6 hours. Re-connection is manual as the auto-re-connection feature is not available. The VPN Premium which comes at a price of $6.99 has many additional features for the user to enjoy. These include unlimited bandwidth and traffic, ability to choose from any of their global servers. Best of all no advertisements, no 6 hour disconnects and the auto-re-connection IS AVAVILABLE. 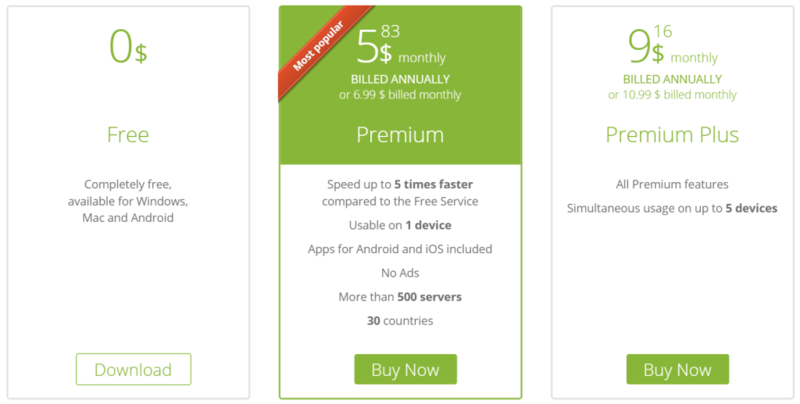 The Premium Plus VPN package has all the benefits of the Premium package in addition to ability to connect 5 devices simultaneously and access to servers that are configured for the 256-bit encryption. A 30 day free trial is offered with all the paid packages. CyberGhost VPN has a diversified choice of payments which are available this makes it quite convenient for their customers. The transactions can be made through Paypal, wire transfer or most of the major credit and debit cards. One of the most interesting features we found is that they offer an anonymous payment method. The CyberGhost VPN software can run on Windows, Mac OS, Linux and iOS operating systems. It is available for all of your devices. Installation is easy because they have done everything for you so there is nothing complicated to figure out on your end. It is as simple as install and use. CyberGhost VPN has a whopping 400 proxy servers that are scattered geographically in over 24 countries. They even provide a link for live server updates so you can see which servers are available, whether free or premium users are connected and total users online. Some additional features Cyberghost provides are DNS leak protection, added security through their internet kill switch if your connection drops, they block social media cookies so no one can track your browsing behavior. You can receive assistance through a live online chat or a ticket system. The support representatives are very friendly and knowledgeable. You can also find solutions to your problems in the FAQ & help section on their website. CyberGhost VPN offers only OpenVPN, L2TP, PPTP protocols. 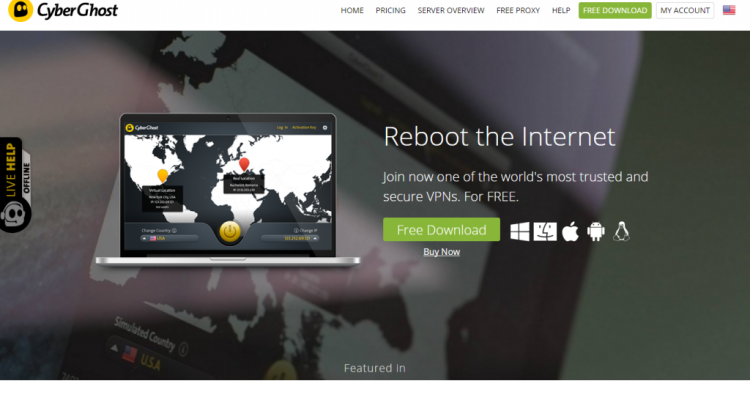 CyberGhost is an excellent choice for anyone seeking VPN services. The free package on its own is very attractive, but the other packages rich in features and at affordable prices are certainly the best choice. CyberGhost VN is definitely worth trying out.